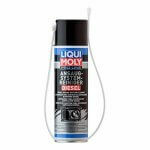 Are you considering the purchase of a vehicle with a diesel engine? 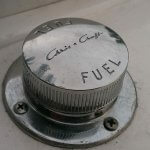 Modern diesel engine technology has come a long way in the last few decades. There are extra maintenance steps for diesels which must be considered. 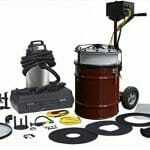 Buyers should learn the parts unique to diesel operation, specifically is a DPF filter covered under warranty? Read more to find out. Truck or passenger car shoppers should thoroughly research the vehicle warranty. 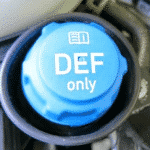 A consumer needs to know, what is a Diesel Particulate Filter (DPF). Conventional internal combustion engines using gasoline does not have this equipment. 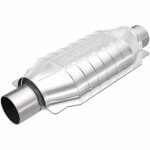 A DPF is like a catalytic converter but is vital to the operation of a diesel. Ryan Dokter of Kline Industries says: a DPF filter can cost anywhere from $3,000 to $10,000, depending on diesel size and application. 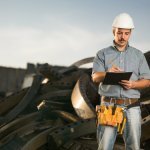 With that type of replacement cost long-term warranties need plenty of scrutiny. Short-term guarantees are absolute requirements. 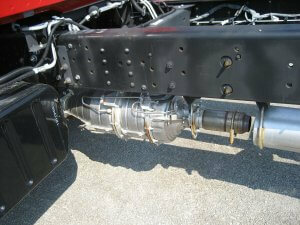 A diesel particulate filter is treated as a consumable part, just like tires and light bulbs. Before purchasing any light-duty passenger car or truck, READ THE OWNERS MANUAL. The manual will specify whether the DPF is protected. A purchaser must examine their driving habits before bolting to the door to purchase a diesel. If you are driving in city distances, with stop and go traffic, manufacturers will frown upon the purchase. Driving a diesel to the grocery store and back does not give the DPF time to regenerate. If you drive 3000 to 6000 miles per year, this would be regarded as short distance driving. 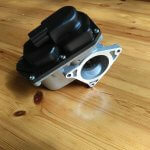 It does not allow the DPF to get to speed and begin the regeneration process. Under the previous conditions, few passenger cars and light-duty truck manufacturers would include the DPF under warranty. DPF’s are expensive, and vehicle manufacturers will discover any way not to pay the substantial replacement costs. Warranties change with each model year. The following is basic research for major diesel engine builders. Use the link above, enter the win and download the owner’s manual to be sure the DPF is covered. Most of the newer manuals are free. Emissions control equipment for a Ford Diesel is five years or 100,000 miles. According to several technical service bulletins, warranty coverage changed with the 2008 model year. Regeneration issues cropped up with the 6.4L. Warranty coverage states both the DPF and DEF systems are covered under the 3 yr. 36,000 mile or 5 yr. 100,000 mile. 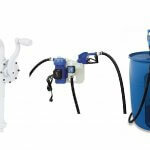 This site gives the emission equipment at 50,000 miles. There is disagreement whether the DPF system is considered part of the powertrain or emission control equipment. Duramax owners are purchasing extended warranties covering bumper-to-bumper at 6 yr. 100,000 miles. Emission equipment warranty coverage for the Dodge Cummins is 8 years or 80,000 miles. 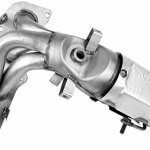 Several posts describe issues involving the DPF and SCR systems back to the 2007 and 2008 model years. One significant problem being reported, cracked filters showing up right away in the buying cycle. Many drivers and fleet managers of automotive and industrial diesel engines have a two-pronged approach to DPF warranty and maintenance. Commercial vehicle extended warranty coverage companies are bundling entire emission packages for commercial diesel. EPA changed the diesel engine market in 2010 with regulations in particulate matter. Commercial fleet and independent diesel operators take every advantage available to satisfy the rules. Modern technology is working to mitigate the toxic exhaust fumes. 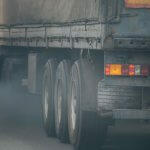 Many are retrofitting current diesel engines with improved emission equipment and keeping the vehicle on the highway until stronger technology develops. Using extended warranty companies help commercial operators deal with the multitude of related costs. Germany’s decision to allow their cities to ban diesel engine cars is having wide-ranging effects on Europe and the industry. Market share in Britain alone has fallen to 33 percent. The pressure on governments has increased to crisis levels. Manufacturers are reluctant to spend the billions of dollars needed for retrofitting the estimated 12 million diesel engines. If you are contemplating buying some of the following vehicles, do your research. BMW: The firm began retrofitting automobiles with a DPF in 2004. Some models have a DPF; some will not. Any newer BMW (2008 and later) should have the equipment. The service life for a BMW particulate filter is about 100k miles. Check the owner’s manual to learn if it is protected under warranty. Honda: Retrofits started about four years before the EU5 Depending on mileage, Honda will honor their warranty coverage. 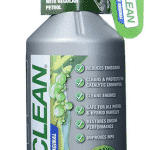 The company recommends using low-ash oil and diesel additives. Toyota: Any vehicle after 2010 will have a DPF. Toyota had problems with DPF regeneration beginning with the 2006 model year. Check the Owner’s manual. Volkswagen: This vilified company created the global awareness of toxic diesel exhaust fumes with their recent Absolutely check the manual. Dealers are refusing warranty claims. 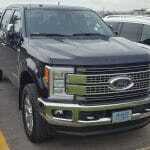 Diesel engines have a myriad of benefits. However, it is not an engine or system you jump inside and drive without maintenance consideration. Check your driving patterns and miles per year to make certain you do not open yourself up to an unexpected expense. Manufacturers are reluctant to replacing diesel emission equipment.